Coffee is a beloved drink (or fuel) for millions of people around the world. It’s also one of the most well-studied beverages in the world — so much so that it can be extremely confusing to navigate its scientific literature. It seems like every day there’s a new study on coffee’s health benefits but also, conversely, its downsides. Which begs the question: is coffee good or bad? Caffeine (1,3,7-trimethylxanthine), the main stimulant found in coffee — but also in tea, soft drinks, chocolate, and some nuts — has many metabolic effects. Besides caffeine, coffee contains other substances with important metabolic effects such as theobromine (main stimulant found in cocoas), theophylline (may be good for treating asthma), and chlorogenic acid (may slow down carbohydrate absorption). One of the most familiar feelings people associate with coffee is “awakeness” — after all, so many people use coffee on a daily basis in their morning routines. Within 15 minutes of the first sip, caffeine is known to boost mental alertness and cognitive functioning, as well as enhancing physical performance by improving endurance and reaction time. It does so by latching onto and blocking receptors in the brain for adenosine, a chemical which is produced by neurons throughout the day. When adenosine levels are high, the body’s metabolism slows down, priming you for sleep. With adenosine out of the way, the neurotransmitters dopamine and glutamate, which are natural stimulants generated in the brain, are free to do their magic. You start feeling more alert and awake, as a consequence. But, as every coffee ‘addict’ knows, this effect lessens over time because of an annoying thing called tolerance. So you’ll need to do intake more and more caffeine to achieve the same level of stimulation from dopamine and glutamate. While stimulating the nervous system, caffeine also signals fat cells to break down, releasing fatty acids in the bloodstream. This also means that the body has more glycogen available in the muscles to burn during a workout, enhancing endurance. In the same vein, caffeine has been found to influence the energy balance by increasing energy expenditure and decreasing energy intake, hence it can be a weight regulator for some people. It’s no surprise that caffeine is often found in weight loss products. Counter-intuitively, the increase in metabolism is less pronounced for obese individuals. One study, for instance, found that caffeine increased lipid oxidation by as much as 29% in lean women, while the increase was only about 10% in obese women. Again, the effects may be less pronounced in regular coffee consumers and decline with age. If the main reason you’re using coffee is for weight loss, you might want to alternate your patterns of consumption — for instance, use coffee for two weeks, stop for the next two weeks to prevent tolerance, and then reset. Some studies show that drinking three or four cups of coffee a day could reduce your risk of developing type 2 diabetes by 25% compared to consuming no coffee or less than two cups daily. Caffeinated coffee may improve glycaemic metabolism by reducing the glucose curve and increasing the insulin response. But before you hurry to the supermarket to buy all the coffee on the shelves, bear in mind that there is a lot of conflicting information about coffee. A 2017 study found five out the seven studies it analyzed concluded that caffeine intake increases blood glucose levels, and prolongs the period of high blood glucose levels in individuals with diabetes. Another study found that acute caffeine consumption in healthy individuals significantly decreased insulin sensitivity, potentially leading to high blood sugar. So drinking a lot of coffee (more than seven cups/day) may actually cause you to put on more weight and increase the risk of developing diabetes. An old idea is that you shouldn’t drink coffee if you have heart problems, but the opposite may be true. Drinking around four cups of coffee every day promotes the movement of a regulatory protein into mitochondria, which may prevent cardiovascular and cellular damage. An earlier report, published in 2017 in the journal Annual Review of Nutrition, analyzed the results of more than 100 coffee and caffeine studies, finding that coffee was associated with a probable decreased risk of cardiovascular disease. What’s less ambiguous is that coffee is the most widely used dietary source of antioxidants in the world. Antioxidants are important because they pair with so-called “free radicals”, which are molecules with unpaired electrons that can damage cells and DNA. Among the many antioxidants found in coffee, the most effective are hydrocinnamic acids and polyphenols. This antioxidation effect is thought to protect the body against aging and many diseases that are partly caused by oxidative stress, including liver disease, Parkinson’s, various types of inflammation, and even cancer. Conflicting information about the effects of coffee abound. Until not too long ago, the World Health Organization classified coffee as “possibly” carcinogenic, but later reversed the statement stating that evidence for the association between coffee and cancer is inadequate. As mentioned earlier, the same conflicting evidence can be seen for cardiovascular disease. Perhaps the reason so many studies come up with so many different conclusions is that every person is different to a degree, especially in the way they metabolize substances. According to researchers at the University of Toronto, one particular gene may have an important say in the matter. The gene identified by the researchers, called YP1A2, controls an enzyme that determines how quickly our bodies break down caffeine. 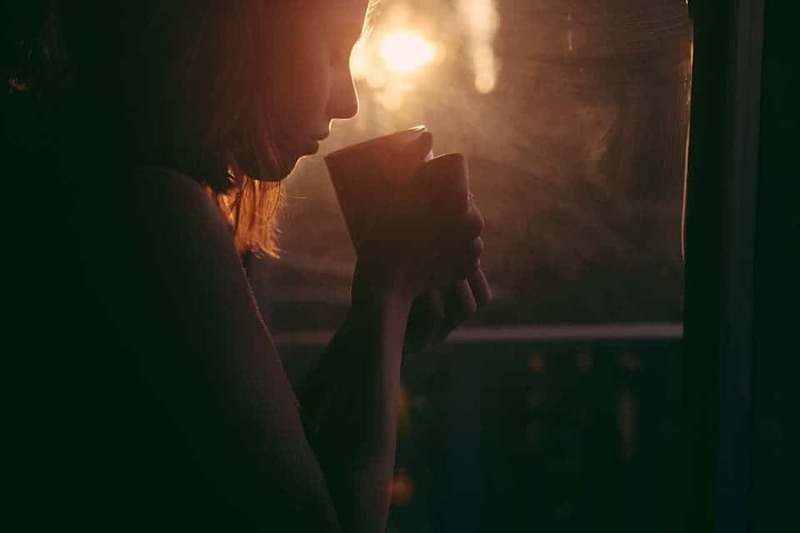 Individuals who have a certain variant of the gene can metabolize caffeine four times faster than people who inherit one or more copies of the slow variant of the gene. Previously, the same team of researchers led by Ahmed El-Sohemy, a professor in the department of nutritional sciences at the University of Toronto, had studied 4,000 adults, including about 2,000 who had previously had a heart attack. The results suggested that ingesting four or more cups of coffee per day was associated with a 36% increased risk of a heart attack. 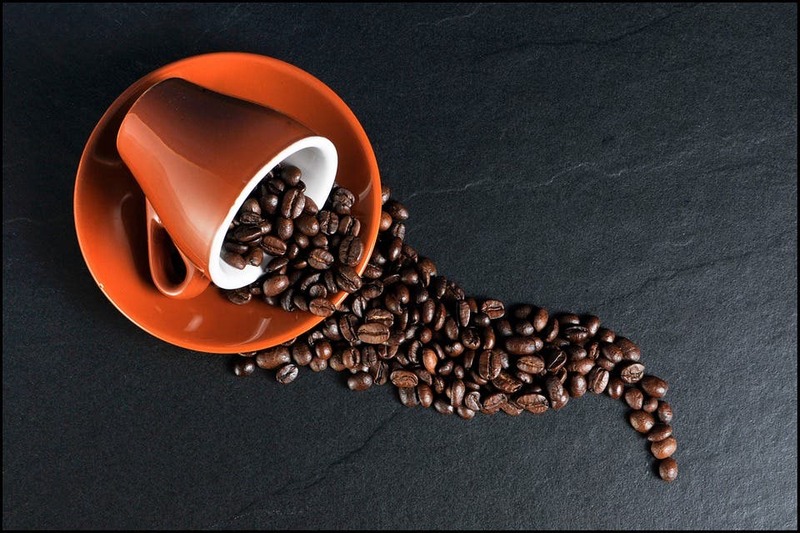 However, when the participants were split into groups (fast metabolizers and slow metabolizers), the authors found that acute coffee intake was associated with increased heart attack risk only in the slow metabolizer group. Slow metabolizers keep caffeine in their system for longer, offering it more time to trigger harmful effects such as heart attacks. On the other hand, fast metabolizers may allow antioxidants, polyphenols and coffee’s other healthful compounds to kick in without the side effects of caffeine because the stimulant is flushed out of the system fast. And in all likelihood, there may be many other genetic and environmental factors contributing to differences in caffeine metabolism. Many studies that investigate the health outcomes of caffeine can use different methodologies, demographics, or can simply be flawed. Overall, however, studies seem to point to net benefits of drinking coffee — although how fast you metabolize the stimulant seems to play a key role. An umbrella review published in the prestigious British Medical Journal — which included more than 200 meta-analyses of observational and interventional studies of coffee consumption and any health outcome — found that “coffee consumption was more often associated with benefit than harm.” Three to four cups of coffee reduced the risk of type 2 diabetes, metabolic syndrome, kidney stones, gout, and several types of cancer, including endometrial, skin, prostate and liver cancer. The only vulnerable group which the authors identified was pregnant women, who are at an increased risk of bone fracture. “Coffee consumption seems generally safe within usual levels of intake, with summary estimates indicating largest risk reduction for various health outcomes at three to four cups a day, and more likely to benefit health than harm,” the researchers concluded. Some die-hard fans might consider what I’m about to say next as heresy, but there is such a thing as too much coffee. In fact, you can even overdose (and risk dying) from too much caffeine — although that would be quite challenging to do on coffee alone. If you weigh 60 kg, you’d need to drink around 55 cups of coffee to overdose — but be aware that energy drinks have a high concentration of caffeine which makes it easy to overdose if you use them in quick succession. According to one study, there have been only 45 deaths related to caffeine reported between 1959 and 2010. You don’t have to overdose to feel unpleasant side effects. Going above 400 mg daily, the recommended dose for adults, can cause jitteriness, insomnia, and irritability. So, moderation is key — just like with everything else in life. And if you actually decide to take a break, be prepared to face withdrawal symptoms such as feeling anxious, irritable, and drowsy. Luckily, these side effects are temporary and fade within 3 to 10 days. Bottom line: evidence points to the fact that coffee does more good than harm, indicating that it can be part of a healthful diet.